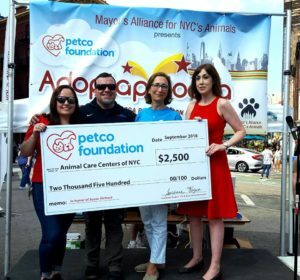 AllForAnimalsTV host Susan Richard presents Animal Care Centers of NYC with a $2500 grant from the Petco Foundation as part of Adoptapalooza in Union Square, NYC. Adoptapalooza is made possible thanks to a partnership between the Mayor’s Alliance for NYC’s Animals and the Petco Foundation. 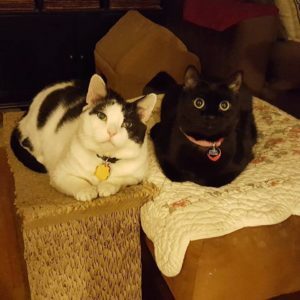 Susan had the honor of hosting the Foundation’s Facebook live broadcast in March 2018 from the All For Love Adoption Rally and donated her fee to ACC. Watch video from that event HERE.